The Old Lyme chamber music series bookended two of Mozart’s most innovative and sadly underperformed works — his piano quartets — around two 20th-century works not just inspired by his scores, but named for him. As series artistic director and cellist Edward Arron explained in his introduction to Saturday’s concert — a program to be repeated at 3 p.m. Sunday — the two Mozart piano quartets seldom get the respect and attention they deserve. “They are so rich, so thrilling and so perfect, as only Mozart could be,” Arron said. The program also marked the annual return of a local favorite, the multi-talented violinist Tessa Lark, and of violist Dimitri Murrath. 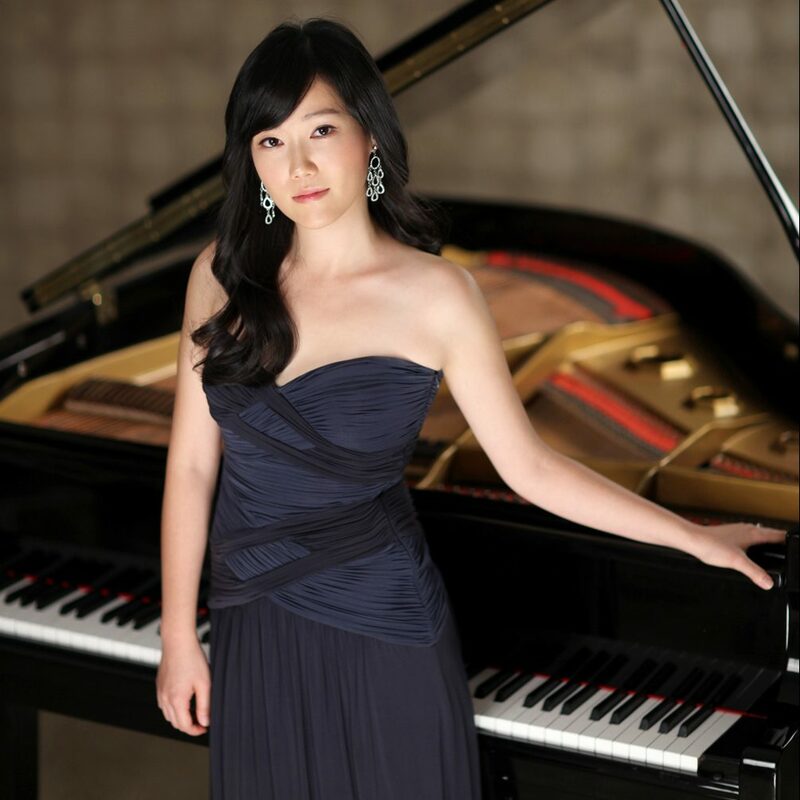 Completing the quartets was the rock upon which so many Masterworks performances have been built: pianist Jeewon Park. If anyone still believes Mozart chamber works are background music, they didn’t attend the concert in the Old Lyme Congregational Church. The program opened with a light-hearted fragment from a string trio Mozart abandoned (perhaps wisely) that acted as sort of musical throat-clearing for the program that followed. The mood darkened considerably with a riveting performance of the 1990s Mozart-Adagio for Piano Trio by Arvo Pärt, who rivals Mozart in that he is the most-performed living composer today. Pärt used thematic material from the slow movement of Mozart’s Piano Sonata in F Major, K. 280, to probe the dissonances and shadows in the depths of Mozart’s work. A sequence of halting unisons in the strings set the tone for the work: confrontational and full of unease. Spare, each phrase, each note exposed and often framed in silence, the performance was gripping and raw. The first half concluded with a robust reading of Mozart’s Piano Quartet in G Minor, K. 478, a high-energy performance that brought the audience instantly to its feet. Both Mozart piano quartets treat the piano and the grouped strings as two distinct protagonists, and in the first movement, the give and take was sizzling. The development’s final transition to the recapitulation had the sort of dramatic fangs one associates with eras much later than the Enlightenment. In the slow movement, Park uncoiled a rubato in transitional passages that no doubt would have pleased that great improviser Mozart, and as the movement progressed and the songlike melody was handed off to Lark to expand, the violinist expressed that deep yearning so inherent in Mozart’s minor-key slow movements. After intermission, Lark and Murrath stood alone to perform Alfred Schnittke’s 1997 Moz-Art à la Haydn for Violin and Viola, an ear-tickling send-up of a grab-bag of Mozart’s themes that had the audience laughing again and again. Schnittke employed many of the techniques he incorporated in his concerti grosso, such unsynchronized duets and sonic oddity. Was that violin harmonics? No, it was Lark whistling! The duo was perfect in their stagecraft, as Murrath scowled at his viola’s pegbox and detuned as he bowed the whole affair into its final breakdown. Arron aptly described the final work, Mozart’s Piano Quartet in E-flat Major, K. 493, as one of the masterpieces of the chamber repertoire. From its sonically dense opening — is that a chamber orchestra? — the quartet powered through the complex development, with its constant key changes, with surety heading toward the coda riding on some luxurious dark phrasing from Murrath. The slow movement is one of Mozart’s greatest, and Saturday the playing was exquisitely languid and intimate, Park and the string players handing phrases to each other like waking up in someone else’s dream. Park had an odd sense of the phrasing in the grand operatic figure that recurs throughout, but the tender movement breathed on its own. This was chamber music at its best. Throughout, Lark was smiling with delight or scowling over a dark harmonic turn, Park twisted on her piano bench to keep watch on the ensemble and the eye contact betrayed the communication. But then, we could hear that.